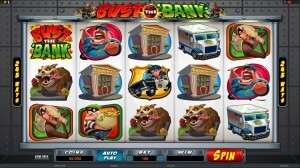 Armored Trucks, Guard Dogs And Locked Safes Feature In Bust The Bank! The newest casino style video slot game offers the chance of random on screen bonuses, multiple free spins and exploding wilds. Experienced bank robbers Larry and Bob lead players through a colorful world of high stakes and big fun in a 5 reel gambling adventure with 243 unique winning combinations. Bust the Bank gives players the opportunity to try their hand at a life of crime, infiltrating a heavily guarded bank to reap big time rewards hidden inside the imposing master vault. 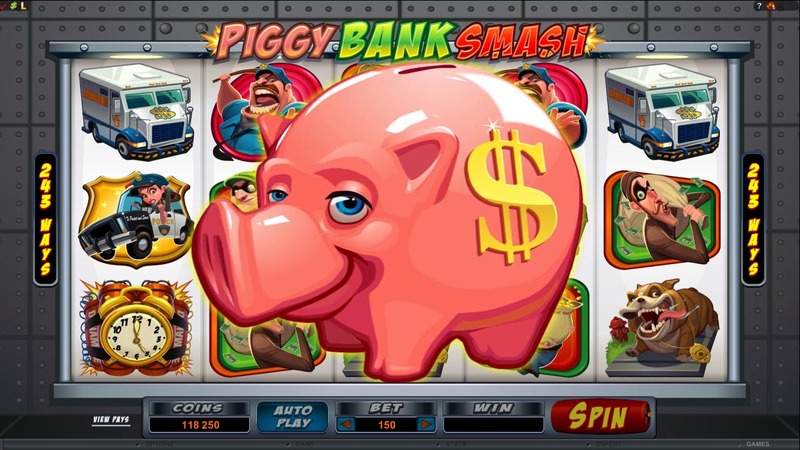 Each player is assisted on their bank heist adventure with a number of tools, including three different chances at bonuses, Free Spins, Scatters and fiery Wilds. Armored trucks, heavy safes, barking guard dogs and a number of clever police officers are only some of the means of defense the bank has assigned to their precious vault. A tall task, but thieves Larry and Bob have all sorts of tools to help break in. By simply spinning the Safe Bonus logo on either Reels 1 or 5, players can enjoy anywhere between 1 and 6 golden coins. The Bust the Bank logo is another helpful tool in breaking into the main vault, helping the player in any combination as a Wild. Most exciting of all is the Scatter Bomb symbol, which guarantees the player and exciting Free Spin ride. 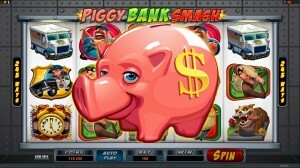 Players can earn up to 5 Scatter Bomb symbols in a single turn, earning 8 Free Spins, adding to the thrilling Bust the Bank game play experience. Along with the comedic characters and brilliant colors, Bust the Bank is a slot game players will find themselves coming back to time and time again.